HarperCollins has FIVE copies for some lucky US readers to celebrate the paperback release on September 3rd. Check out Amy's review at CLC and Melissa A's review at Goodreads. Tell us about the nicest thing a friend did for you or that you did for them. US only. Giveaway ends September 3rd at midnight EST. 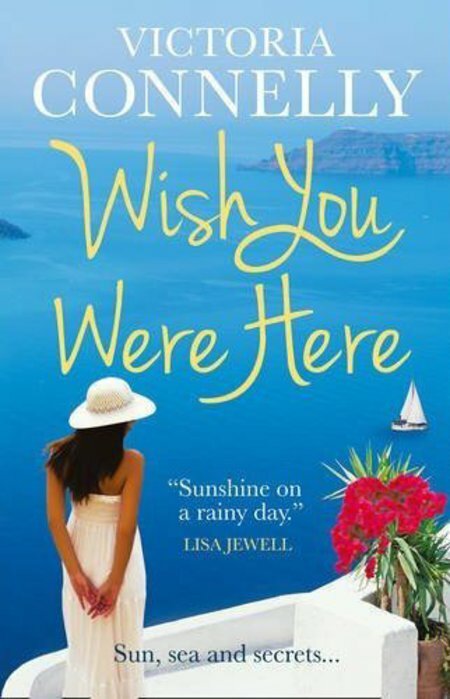 ‘Sun, Sea and Secrets...A week on the sunny Greek island of Kethos is just what Alice Archer needs, even if she has to put up with her difficult sister. Stella’s tantrums and diva-like demands are a fair price to pay for crystal-clear waters, blue skies and white clifftop villas. The synopsis also appealed to me as I thought the character going on holiday and having their own adventure would sit nicely with me when I was sunbathing, making me feel I did more on my holiday than I actually did! I really did love this book and I read it within a day. My Mum also read the book within a day which is unlike her and shows how much she got into it too! Alice is such a lovely character to spend time with; a selfless woman who loves her dad and is thankfully nothing like her self-absorbed sister Stella. Milo is also a great character, a genuine loveable male lead. It was a book where you almost felt you were falling in love a bit yourself as the characters do so. To feel that emotive is testament to Victoria’s writing skills and character development. The ‘holiday magic’ referred to in the synopsis relates to a wish Alice makes on a statue of Aphrodite, the Greek Goddess of love and beauty. Essentially Alice’s wish comes true and this leads to a whole host of bizarre, but sometimes welcome, situations for Alice as the book progresses. The question is, "should you be careful what you wish for?" Despite the synopsis, I still wasn’t expecting the ‘magic’ to be as surreal and frequently referenced as it was in places, but once I got used to it, I did enjoy it and I thought it brought something extra to the story and it was key for plot development. It kept me hooked to find out whether Alice was ever going to find a way out of the predicament she found herself in or whether she’d have to live with it. I felt truly transported to ‘Kethos’ in this book and had a clear image of the island in my mind through Victoria’s writing. I grew to completely understand why Milo loved the island so much and I was keen for him (and his sister) not to be pulled away from the island by events and the tension that evolves surrounding this, which added to my intrigue. I also enjoyed the fact that Stella, as a character, was consistently dislikeable throughout the novel rather than redeeming herself, as I think that added to how happy I was with the ending. 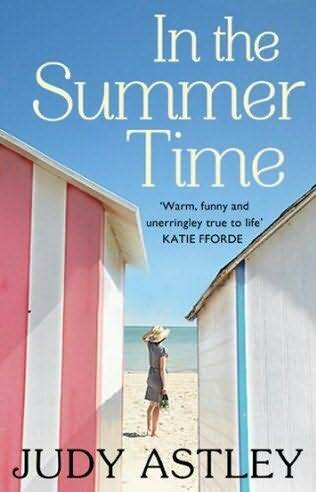 Overall, I think this a great summer read, but if you take this on your holidays make sure you pack plenty of books as you’ll be all consumed by this one and get through it quickly! Thanks to Avon Romance for the book in exchange for an honest review. "Matchbaker, Matchbaker, bake me a match..."
Wait...that doesn't sound right! However, when you combine the title of Jerrica Knight-Catania's first chick lit novel with the fact that she performed in musical theater, it's hard not to get a certain tune out of your head. At least that's the case for me! 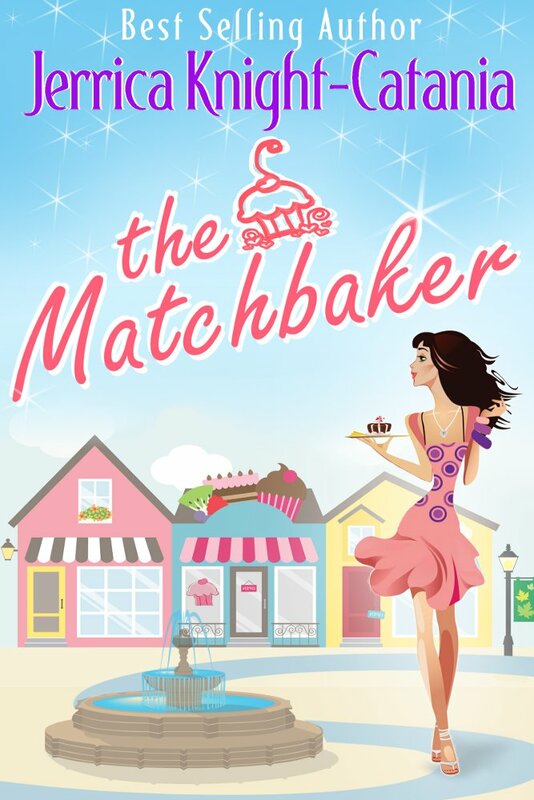 Jerrica Knight-Catania is best known for her Regency Romance novels, but she is now coasting onto the chick lit scene with The Matchbaker, a romantic comedy involving magic and cupcakes. She recently moved from New Jersey to Florida with her husband and their three year-old daughter. These days, when she's not writing or spending time with her daughter, you can find her shopping or at the beach. You might even catch her at Disney World, if you're lucky! Candace Cooper is living the life she set out to live. With a posh apartment in Manhattan, a high-powered job that takes her all over the world, and designer clothes that most women would kill to have in their closet, she's definitely living the high life. But when her best friend drags her to a seedy section of Paris to meet with a crack-pot fortune teller, she hears things she doesn't want to hear. She desperately tries to ignore the unsolicited advice, but that becomes nearly impossible when her perfect life starts to unravel. You can find Jerrica at her website, Facebook and Twitter. 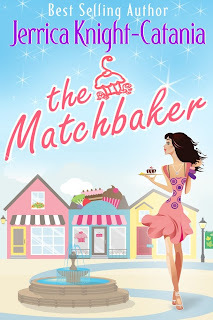 She's giving away an e-book of The Matchbaker to one lucky reader anywhere in the world! 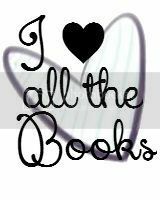 You've written historical romance, as well as contemporary novellas. 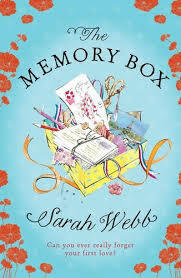 What was the experience of writing a chick lit novel like in relation to those? I stared reading chick lit long before I started reading/writing historical romance novels, so it's definitely always been in the back of my mind that I wanted to give it go. 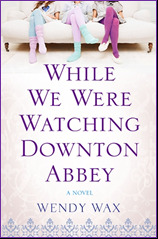 I've even had people say, based on my historicals, that I had a great "voice" for chick lit. So, finding my voice wasn't a challenge at all. I had a much bigger challenge with the technical aspects. I've been writing in third person past for so long -- switching to first person present was HARD!! Even after many, many pass-throughs, professional editors and beta readers, I still found passages that slipped into past tense! Now that I'm back to work on a Regency novella, I'm finding it hard to stay in third person past. Gah! How did you come up with the idea for The Matchbaker? What are three items you must have on hand while writing? If The Matchbaker were made into a movie, who would you cast in the lead roles? I love this question, because I really do see The Matchbaker as a movie (ahem, any movie producers out there?) In my mind I see Rachel McAdams as Candy, Candace Accola as Holly, Ryan Reynolds as Joe and James Marsden as Colin. I can definitely relate to not wanting to be a stay-at-home mom (per your "About Me" page). What are the benefits and challenges for you, as a working mom? What is the biggest difference for you between living in New Jersey and living in Florida? Well, as mentioned above, we never could have taken quick trips to Disney World before! But really, NYC/NJ was great when we were young and childless, but after 15 years of living in Manhattan (or in an immediate suburb), and after 2.5 years of city living with a child, we were just plain tired. We wanted a slower, calmer way of life. We wanted a home with a back yard. We wanted weather that allowed us to be outdoors year-round. We've gotten all of that and more! You mention on your "About Me" page that you were once a musical theater performer. Which musical was your favorite to perform in? My all-time favorite role was Aldonza in Man of La Mancha. It really stretched me as a singer and an actress, plus it's a very short show! It only took me a week to memorize my lines/songs and we were out of the theater by 9:30 every night. After doing three-hour Rogers & Hammerstein sagas, this was a gift!! Since your book involves baking, what is your favorite dessert to make? Special thanks to Jerrica for visiting with us and sharing her book with our readers. How to win: Use the Rafflecopter to enter. If you have questions on how to use it, e-mail us. Open worldwide. Giveaway ends September 3rd at midnight EST. Edie’s youngest child, Lexi, should know better than to fall in love with a Moss, but at eighteen, she falls hard for Tucker’s son, Hudson—only to find herself jilted when Hudson breaks off their engagement. Eleven years later, Lexi returns home after two years away studying architectural photography, just in time for yet another summer on the Cape. When Hudson’s younger brother, Cooper, arrives unexpectedly to sell the seaside estate after the death of his father and hires Lexi to photograph it, an unlikely attraction forms, and Lexi finds herself torn once again between passion and family loyalty. I can't tell you how thrilled I was when Erika Marks messaged me on twitter saying she'd love to give me a copy of The Guest House. I got kind of giddy...well actually I get that way every time I get a book in the mail but anyway. Right before and after the book came out I saw many readers on twitter raving about it so I knew, one way or another, I had to read it. It so happens that I've read a bunch of novels lately that alternate between two different periods. And to be honest I'm enjoying them more and more. 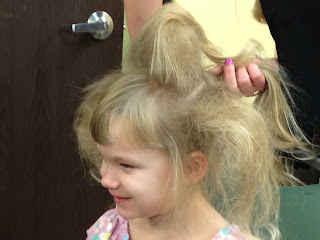 It adds depth and dimension to a story, kind of like highlights do to hair. The Guest House is another one that jumps back and forth between present time and the summer of 1966. Right from the beginning the reader is swept into a a time travel machine which goes back and forth between two love stories. Erika's writing is rich and smooth, and the story is an utter delight to read. It was VERY difficult to put this book down. Right away I was caught up in the characters lives and emotions. I loved the romance and fireworks between Lexi and Cooper. Let's just say I'd like to have a Cooper of my own. Don't tell my husband I said this though. :) I enjoyed getting to know Lexi and Edie as daughter and mom and individually. I'm sure many people out there have gone through what these ladies have gone through...or at least something similar. So yes, the characters are very relatable. I think the biggest part of the book that really hit home for me was the setting. My dad moved to Cape Cod in 2006. He first lived in Provincetown and and now lives in North Truro. If you haven't been to the Cape then unfortunately you can't understand how beautiful and tranquil it is. I literally felt transported to the sands and beaches of the Cape that unfortunately I didn't get to visit this summer. 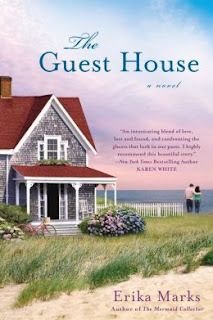 The pages of The Guest House are filled with love, secrets, hope, and learning to trust and fall in love again. I'm so glad I read this book during the summer because it really is a fantastic beach read. I recommend reading it ASAP. Reading it at a beach will definitely make it that much sweeter. When I first got asked if I was interested in interviewing Caprice Crane I was told she was "snarky, in a hilarious way." "Snarky? Perfect, this is my kind of person!" I thought to myself. However, what I have come to find out in a short period of time and a few instant messages is that behind her sassy Facebook posts and snarky tweets, is a kind and sincere individual. Born in Hollywood, Caprice has been living each and every day as if it was her last for quite some time. 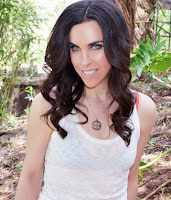 After graduating from college, she started her career with MTV Networks as a writer and producer for a variety of shows. She has also written for shows such as the new 90210 and the new Melrose Place. Additionally, she boasts the title of screenwriter and novelist on her resume. 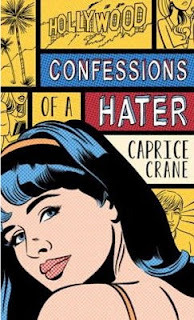 Caprice has written five books, including her newly published novel, Confessions of a Hater. 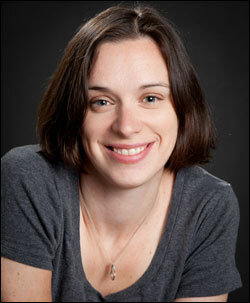 To celebrate the occasion, Caprice is visiting Chick Lit Central and we couldn't be more thrilled to have her here! You can find Caprice at her website, Facebook and Twitter. Thanks to Caprice, we have a copy of Confessions of a Hater for a lucky reader in the US! Which song best describes your personality and why? "Go Your Own Way" by Fleetwood Mac. For one, because I do always carve my own path even when the future is uncertain. But also because it’s a breakup song and well…I have been known to choose poorly in the past. What do you believe the greatest misconception people have about you? What does the term "badass" mean to you? Badass to me means: you better not touch my fries or I will go apesh*t on you. If I have to be serious: Hillary Clinton. Physically and politically. Staying with a cheating husband was less badass but nobody’s perfect. Of all the things you've written, which of your works best reflects who you are as a person? At what point in your career did you start calling yourself a writer? It must have been when I was buying Ramen Noodles well into my 20s. I remember placing them on the conveyer belt and clearly thinking in that moment how fortunate I was to be able to take something that combined so much work and so much rejection and turn it into a full-time job! Of all the characters you've developed (whether it was for a television show, film or novel), which three are your favorites and why? Hailey from Confessions of a Hater because she’s a work in progress and she makes mistakes but she learns from them. And when she has the opportunity to be popular alongside bunch of jerks, she decides she’d rather be friends with the outcasts because they’re genuine and better human beings. Heaven from Stupid and Contagious because she’s nuts but she’s got a good heart and she really does mean well. She’s honest and real and flawed and fun. Jordan from Forget About It because I wrote that book for a friend of mine who could never stand up for herself. My friend passed away from cancer, tragically young, and I wanted to give her another chance. So, in the book, the character fakes amnesia to start over and totally reinvent herself. And she’s able to take some of the power back and live a different life. I couldn’t bring my friend back in real life so I brought her back in fiction form to give her a better ending. Unlike your other novels, your recently published book, Confessions of a Hater is a Young Adult book. How did writing a YA novel differ from other things you've written in the past? Was it more difficult or easier and why? It’s really not different because I spent so many years at MTV and I wrote for the new 90210, which took place in high school, so I’m very familiar with that territory. Also, I’m incredibly immature so that helps. Initially, the one thing I did worry about was language (swearing) but kids today certainly don’t worry about that, and I wanted it to feel real so...it definitely feels real. Thanks to Caprice for visiting with us and sharing her book with our readers. US only. Giveaway ends September 2nd at midnight EST. I have to admit I was a bit hesitant to review this book. Truth: I’ve never seen an episode of Downton Abbey. I want to watch it. I’ve heard rave reviews for it. But I’ve just never gotten around to it. (Also on the to-watch list: Game of Thrones. Argh! I know!! But I digress.) So I got a copy of While We Were Watching Downton Abbey, and needless to say I was slightly worried. I had never seen the show. Would the novel make sense? Would I be able to follow all the plotlines? Would I just get confused and end up going back and re-reading pages regularly? I’m happy to report that this novel was the absolute best-case scenario. 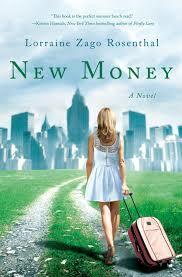 Samantha is an orphan who married into money at a young age in order to provide for her younger brother and sister. Because of her status as the oldest sibling, she felt that she had to take on not only the role of sister, but also of parent and protector to her brother and sister. She’s terrified because she’s fallen in love with the man she married, but she’s certain it was a pity marriage on his part, so she knocks herself out every day to ensure everything is perfect for him. Her worst fear is losing him, but is she trying so hard to keep him that she’s pushing him away? 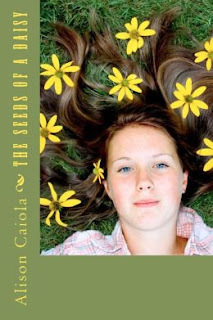 Claire is a single mother whose only daughter has moved away for college. She’s trying to figure out her identity without her daughter to anchor her, and floundering in her chosen career. With two moderately-selling novels under her belt, she has taken a year off work to write the third in her trilogy, but she’s starting to panic. The ideas aren’t coming now. She has to push through this writer’s block or will she end up losing her gorgeous new apartment and doubting her abilities as a writer forever. Brooke is raising two girls on her own. Her unfaithful ex-husband is busy flaunting his new (surgically enhanced…by his own hand) girlfriend, while Brooke is barely making ends meet. Brooke needs to work through her issues with men (her ex in particular) but she still needs to set a good example for her girls. She’s coming to the end of her rope, and she’s not sure if she can keep up the façade of wonderful for much longer. All three women are living in The Alexander, a grand old hotel that’s been converted into luxury apartments. Edward, the concierge, decides to offer Downton Abbey viewings for the residents, thinking it will add a sense of community to the building. When Claire, Brooke, and Samantha get to know each other at these viewings they realize that they can offer each other what they need. And as their friendship grows beyond the Sunday night showings, they realize what they’ve each been missing for so long, but when a betrayal threatens to divide them, will it be enough? This book was just wonderful. The characters were real, believable, and not without their own flaws. The Downton Abbey theme was definitely the invisible thread that tightened the story into a well-written, enjoyable novel. I really enjoy stories that have an underlying theme of “This is life. It’s messy and stuff happens. Deal with it.”, and this one was no exception. I really have no criticisms for this book. As someone who has never seen an episode of the show, I didn’t feel like I was missing out on anything that would enhance the book for me, but it definitely made me want to go watch the show and then read the book again. A wonderful story that would be just as at-home on the beach as it would be in front of a crackling fire mid-winter. I’ll be re-reading this one for sure. 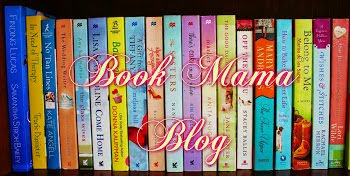 Thanks to Orion for this novel in exchange for an honest review and for including us in the blog tour for it, as well. As I stopped at Ben and Jerry’s today for a scoop of ice cream in this unrelenting, muggy heat, I opted to eat my treat inside so that it wouldn’t melt before I could enjoy it. 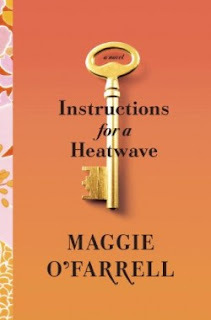 In the midst of this typically humid D.C. summer, I’ve been in a perfect mindset to read Maggie O’Farrell’s Instructions for a Heatwave. Set in 1976 London during a particularly grueling summer, O’Farrell’s novel seems at first to be about a disappearing man, Robert Riordan, but the true story lies behind the individual circumstances of each member of his family. During the hottest days on record, Gretta Riordan awakens one day to find that her husband, Robert, has vanished. An eccentric, larger-than-life woman, Gretta decides that the best course of action would be not to wait for the police to get interested in the matter, but rather to call upon her children to help her find him, a decision that makes more sense as the book progresses and some of Gretta’s secrets come to light. The strongest element of this book is, quite simply, the characters. Gretta, despite her booming presence, is the least interesting of them all, being a somewhat stereotyped Irish matriarch. Her children, however, are each in turn struggling with compelling and realistic issues, from dyslexia to unruly stepchildren to marital tension, and their efforts to surmount the mistakes of the past and save their futures are what make this book work. Without these conflicts, the plot wouldn’t have much movement, since the whole story takes place over a very short period of time. Adding to the book’s charm is the compelling writing style. O’Farrell knows how to pull in readers and keep their attention, and her powers of narration are strong. Even with a story that is based more on psychological inner turmoil than action-driven conflict, she manages to keep the pace flowing smoothly throughout the novel. The only little snag in the book is that Robert Riordan’s disappearance is mainly a device to pull all the characters together, so when the reader finds out why he left Gretta, what should be a big moment is rather anticlimactic. Still, even with that hiccup, the plot is compelling and we really care about the fate of the various members of the Riordan family. The typical oppressiveness of a heat wave is certainly not reflected in the smooth and skillful writing in O’Farrell’s absorbing tale. Instructions for a Heatwave untangles the secrets and deceptions that mark a family’s history with a refreshing adeptness that make it a necessary read for a hot summer’s day. Having some Ben and Jerry’s on the side wouldn’t hurt either. Thanks to Alfred A. Knopf Publishing for the book in exchange for an honest review. Last summer, we shared our thoughts on writing a bad review and then asked authors how they felt on receiving a bad review. I still hold the stance that I will not publish a completely negative review. There are some authors who have said "bring it on," after I have warned them, but sometimes I won't even write the review at all or allow our reviewers to do so. If it sounds balanced, but still pretty negative, I'll check with the author before posting and also give them another option for featuring the book. I personally write fair and balanced reviews, offering the positive points, as well as constructive feedback. Today, we are revisiting the topic of bad reviews with Kate Hewitt, a Harlequin Romance novelist who just published her first women's fiction novel, This Fragile Life. Kate Hewitt wrote her first story (one sentence, really) at the age of five, simply because her older brother had written one and she thought she could do it too. She then went on to study drama in college and shortly after graduation moved to New York City to pursue a career in theater. This was derailed by something far better—meeting the man of her dreams who happened also to be her older brother’s childhood friend. Ten days after their wedding they moved to England, where Kate worked a variety of different jobs—drama teacher, editorial assistant, church youth worker, secretary, and finally mother. When her oldest daughter was one year old, she sold her first short story to a British magazine, The People’s Friend. Since then she has written many stories and serials as well as novels. In 2007 she published her first Harlequin Presents novel, The Italian’s Chosen Wife. Since then she has written over 25 books for Harlequin, and also writes women’s fiction for Carina UK and Lion Hudson Press. Besides writing, Kate enjoys reading, traveling, and learning to knit (mainly scarves). She lives in a tiny village on the northwest coast of England with her husband, five young children, and an overly affectionate Golden Retriever. You can find her at her website, Facebook and Twitter. Kate has a special prize for a lucky reader anywhere in the world. Read her post to find out what it is! You can also enter her Flavors of Summer contest on Facebook for a chance to win a $300 gift card! 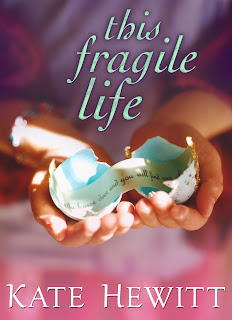 Thanks so much for having me here--I'm so excited to share my first women's fiction, This Fragile Life, with you! 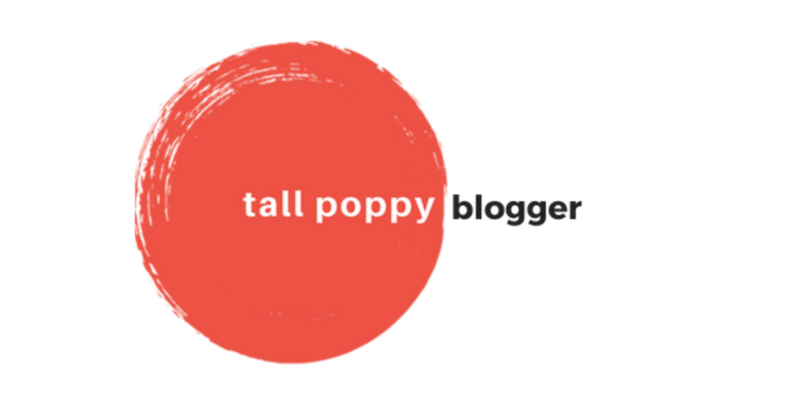 I was asked to blog about reviews and how they affect a writer, which is a very interesting subject--and one writers have varying opinions about. Things have changed a lot since I started writing, when Amazon was only a river and the internet wasn't anything more than email. Now there is so much information online, so much community and interest and opinion, that writers are receiving a lot more online attention. That is a great, great thing--but it can also be a hard thing. Reading bad reviews about your book is hard. Never mind whether the review is thoughtful or snarky, long or short, apologetic or aggressive. Bad reviews hurt. Fortunately, after eight years of being published, I've developed a thick skin in regards to reviews--and I've had enough experience with bad ones to do so! The first Amazon review of my first book was one star and all of three words: 'just plain dumb'. That devastated me for days. Bad reviews can affect your writing. They can make you wonder whether you're washed up or a fraud. They can give you writer's block., or make writing feel like even more of a slog than usual. They always seem to count more than good reviews; good reviews, you tell yourself, are written by delusional people who never say a bad word about anyone. Bad reviews are Total Truth. But--and this is a very big and important but--bad reviews can also be helpful. I know some writers who will never read a bad review of one of their books, or simply disregard any bad reviews they read, and that seems to work for them, which is fine. I can't do that. So I read every bad review--even the ones that seem to spew hatred--and consider what I can learn from it. I remember one of the first bad reviews of one of my books that I read said something like 'could have been good except for all the repetitive junk'. I thought about that for awhile, and then I realized that I was in fact repeating a lot of the internal conflict of my characters throughout the book! That review really helped me grow as a writer. Of course, some reviews don't really help you as a writer. Some people are just not going to like your writing, and you need to accept that. I went through a short, frantic phase of trying to write for every reader, and that didn't work. Try to please everyone and you'll probably end up pleasing no one. In the end, a bad review is simply one person's opinion, and that person is absolutely entitled to think whatever he or she likes about your book. Understanding that logically is easier than handling it emotionally, but with time and experience it becomes easier to get a little perspective on your own writing as well as the reviews of it. 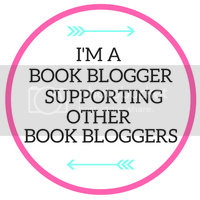 Navigating the online writing and reading community can be challenging; I've seen a lot of authors behaving badly as well as a lot of readers writing over-the-top snarky reviews, and sometimes it feels easier to keep my head below the parapet and concentrate on writing rather than what is online. But in the end? I'm grateful for all the online opportunities there are for writers, and I'm always glad when someone took the time to write down her opinion of my book, even if my story made her want to throw the book against the wall. And I'm glad I have learned a lot through the bad reviews of my work that I've read. What do you think about bad reviews--writing, reading, or how authors respond to them? Leave a comment and one random commenter will win a paperback copy of one of my Harlequin Presents and an Amazon gift card! This Fragile Life: You love your best friend. You trust her with your life. But could you give her the most precious gift of all? Alex’s life is a mess. She’s barely holding down a job, only just affording her apartment, and can’t remember when she was last in a relationship. An unexpected pregnancy is the last thing she needs. Martha’s life is on track. She’s got the highflying career, the gorgeous home and the loving husband. But one big thing is missing. Five rounds of IVF and still no baby. The solution seems simple. Alex knows that Martha can give her child everything that she can’t provide. But Martha’s world may not be as perfect as it seems, and letting go isn’t as easy as Alex expected it to be. Now they face a decision that could shatter their friendship forever. And it will be available on Barnes & Noble soon! 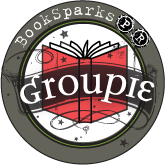 Special thanks to Kate for visiting with us and sharing one of her books and a gift card with our readers. Open worldwide. 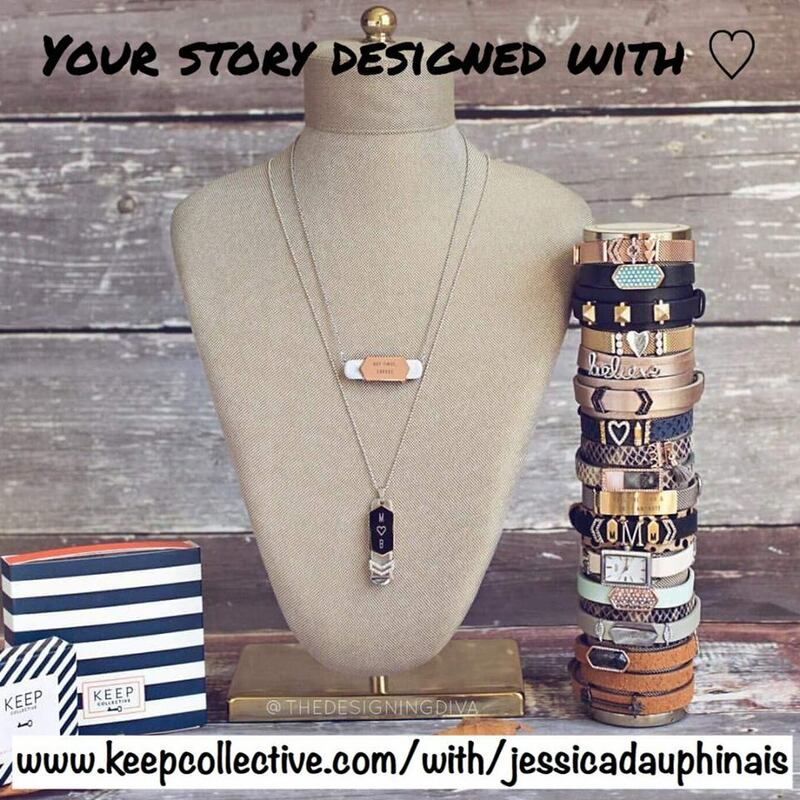 Giveaway ends August 28th at midnight EST. The Chick Lit Cheerleader, Jen Tucker, is going to be jealous of me. That is because I was a flower girl when I was eight years old. My sister and I stood up in our aunt and uncle's wedding. It was such a cool experience, getting to shop for dresses (back in the mid-80s, it was all about lace). Some memorable moments of the evening were when my aunt said "I take this man to be my wife," when we gave them both pieces of toast while my dad was delivering his toast and getting to dance to Michael Jackson songs with a cute 12 year-old guy. So what if I hated how my hair looked (they straightened my hair in front to give me bangs and it was just not a good look for me)...I had a great time! Since then, I've only stood up in one other wedding as a bridesmaid, and then never again. (Even for friends who had stood up in my wedding.) So while Jen might be jealous of my flower girl experience, I am jealous that she got to be a bridesmaid more than once.) Thankfully, she finally got to live out her flower girl fantasies through her daughter and is here to tell us all about it! I try not to live out my life’s missed opportunities through my children, yet it happens from time to time. I have two childhood fantasies that specifically come to mind where my children have been key making up for my youthful losses. First, let’s discuss the Easy Bake Oven I always begged for and never received. My dad feared I’d burn myself on a pretend, plastic stove powered by a light bulb. Instead, he and my mom bought me the miniature baking pans and cake mixes for me to go all Julia Child with in our oven. The real oven, in the kitchen, that heats up hotter than light bulbs ever could. Am I the only one who sees the disconnect here? This sanction was remedied when Santa left my boys this dreamy toy appliance in 2001. I warmed you up with the kitchen calamity because my next bucket list item is huge. One that I’ve fantasized about since I was a curly headed tot. I believe it is my destiny to be a flower girl. Yes, you heard me; a flower girl. I’m not sure when my fascination with being the opening act for the bride began. Recalling countless nuptials I’ve witnessed in my 42 years on the planet, it’s hard to pinpoint the shift in thought from, yeah, I’ve never been a flower girl to Hey…I’ve never been a flower girl! It’s a slippery slope in my case. Yet living out my destiny through my children again came to fruition. This summer my daughter, Gracie, had the blessed honor. My nephew, Michael, married his high school and college sweetheart, Sisi, on June 8, 2013. Although her real name is Lindsey, she readily accepted the nickname Gracie bestowed upon her the moment it left her little rosebud shaped lips and filled the air. Whenever the opportunity arose, Lindsey positioned herself in front of our baby girl and encouragingly coached her, “Say Lindsey. Say Lindsey, Ella Gracie.” The moment Gracie said, “Sisi,” the nickname was set in stone. Gracie has never known a time where Lindsey wasn’t in her life. Just a high school junior, Lindsey first held Gracie in her arms weeks after she was born. From tea parties to slumber parties through the years, they’ve been quite the pair. 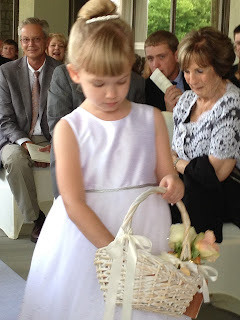 My heart swelled as Mike and I held hands watching our daughter toss peaches and cream colored petals from her basket onto the white runner. Gracie carefully dropped them behind her, so only Sisi’s feet would walk on them as her father escorted her down the aisle. My thoughtful little girl. 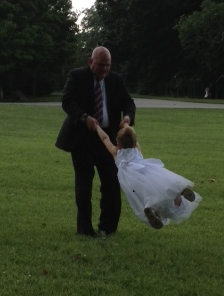 her sliver sandals in hand, running towards Mike, Gracie yelled, “Swing me, Daddy!” As I watched my husband spin his little girl around and around, her feet gliding through the air, I realized one day she won’t be the flower girl. Instead, Gracie will be the bride. Rather than twirling our little girl over and over again in a white dress, Mike will be giving her away to the luckiest man alive. The twirling will still happen, but it will be on the dance floor. Be still my beating heart. You’re probably wondering if Gracie’s experience was enough for me to live through vicariously. We all have dreams, bucket list or life list items we crave to fulfill, right? Do I still yearn to wear the sparkly white dress and toss flowers with all eyes on me? Absolutely! Check out this video of Gracie dancing at the wedding. When Jeff, a devoted father and loving husband to Claire, is tragically killed on his way home one night, the ripple effect that begins with his death leads the reader further and further into the tangled web that is Jeff’s life. Hidden by Catherine McKenzie is different from pretty much any book I’ve ever read. It’s not so much a mystery of who committed the act, but did this actually happen, to whom did it happen, and why did it happen? 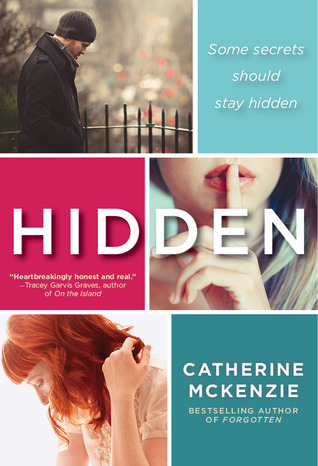 Hidden draws you in and doesn’t let go, even after you’ve closed the last page. Jeff’s death begins a chaotic maze of a story, jumping from viewpoint to viewpoint. We get to see Jeff’s side of the story, sorting through his relationships both with his wife Claire and with his co-worker Tish. We get to observe first-hand Claire’s alternating grief and guilt: she used to be with Jeff’s brother Tim, but they broke up when he wanted to move to Australia. Claire ended up marrying Jeff and building a life with him. Now Tim is back for his younger brother’s funeral and Claire needs to work through anything that might remain between the two of them. And we get to see Tish, working through the stress of being a mother, being a wife, and trying to figure out if she was indeed “the other woman” in Jeff’s life, and how to work through his death without dragging everyone else in her life down with her. This novel is disjointed and messy, but I think Ms McKenzie has done a fantastic job of using this style of writing to mimic what life is like when you’re working through a tragedy. Everyone’s trying to make sense where perhaps there is none to be had. Ms McKenzie paints each character as realistic, each with their own set of unique flaws and strengths. Generally a wife that gets cheated on is easy to create as a deeply emotionally flawed person who is weak and either ultra dependant or super disconnected from their partner. Claire is neither. She’s someone that could easily be your neighbor or your friend. She has her own interests, her own needs and wants, and she’s a strong woman, caught up in a life that’s all of a sudden spiraling beyond what she’s able to control. The same with Tish: you’d assume that the “other woman” would be a manipulative man-eater, but just the opposite. Tish finds a true friend in Jeff, and as the nature of their relationship is revealed, layer by layer, through the chapters, I actually found myself sympathizing with her. Hidden is a gem of a book. 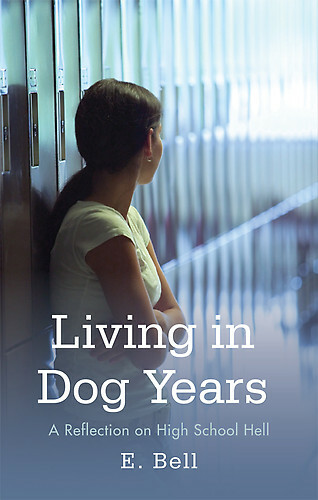 Arm yourself with a cup of tea, a box of tissues, and a few hours, and you’ll be ready to face this book. Catherine McKenzie has knocked it out of the park again, but don’t expect this to flow as comfortably as her other novels. The disjointed nature of this novel keeps you intrigued, keeps you thinking, and, ultimately, lets you make your own decisions about these characters. I think this makes it a very strong read. Maybe not a beach read (a little heavy for that), but certainly not one that you’ll want to miss. Today's guest and I have three things in common: Our first names, we're both moms and we've lived in New Jersey for a brief period of time. That's where the similarities end though, as Melissa Dalton-Bradford has lived in multiple foreign countries and has written a book about her experiences called Global Mom (reviewed here). Melissa Dalton-Bradford is a mother, wife, sister, daughter, friend, writer, independent scholar, professional soprano, avid reader, and a serious avoider of all things mathematical. She holds a BA in German and an MA in Comparative Literature, (both from Brigham Young University), and speaks, read and write fluent German, French, and Norwegian. (She's also conversant in Mandarin.) Melissa has taught language (English and German), humanities and writing on the university level, have served on the editorial board of Segullah, a women’s literary magazine, and has published award-winning poetry and prose. And that's not all... In Vienna (city of opera), Melissa began singing seriously, and has over the decades since then performed professionally as a concert soloist and musical theater actress in the U.S., Scandinavia, Central Europe, and South East Asia. She and her husband, Randall, have lived in Vienna and Hong Kong, and have raised their four children (Parker, Claire, Dalton, and Luc) in Oslo, Paris, Munich, and Singapore. You can find Melissa at her blog and on Facebook and Twitter. Thanks to BookSparks PR, we have one copy of Global Mom for a lucky US reader. What was the biggest adjustment you've had to make during any of your moves? The biggest adjustment by far in any move anywhere was the transition to Munich from Paris, which was also when we moved from being an "intact" family to a broken one, after the tragic and untimely death of our oldest, Parker. It requires phenomenal energy and focus to handle a major international move with a new language, culture, school system and a new job for my husband. But it takes exponentially more energy and focus to remain vertical - and help your surviving family members remain vertical - after major traumatic loss. That move eclipsed anything I'd ever managed before. What was the easiest language for you to learn? German, because I began learning it the best way possible; when I was a child, through natural contact with native speakers, and on native soil. I refined it much later in life in my 20's, but already had a pretty darned good foundation set in place years earlier. Is there something you had to leave out of your book for length purposes but would like to share about briefly here? This question makes me laugh! I had to leave out a whole second book for length purposes! Seriously, my biggest challenge as a writer is trimming. I do have many, many stories to tell. . .We cut an entire chapter describing solo trans-global airline travel with four young children. We hauled all their gear and I hauled my children, including one a chest-pack and one a backpack. And I recall that delightful moment when my toddler projectile vomited right into the big open designer bag of the woman sitting in the row behind me, and the flight attendant, unwilling to help out, told me, chawnking her gum, "Who ever throws up, cleans up." Oh, and that time in Hong Kong when I was locked in a sweltering, flea-infested, outdoor laundry room all day long and in - how shall I put this delicately?- in the most compromising state: unclothed and with my newborn baby at my breast. I can shake my head and laugh until I cry now, but those were ten dangerous and frightening hours. I cried for real. I would have loved to have included more input from other family members' perspectives. I'd thought of writing an entire chapter solely from the POV of my husband, for instance. And I tinkered with the concept of a chapter each from each child's perspective for added color and texture, especially in the chapters regarding early grief, when everyone was floundering in his or her own way. But I knew this was not intended primarily as a grief memoir, and so I limited myself there. Are you still in contact with people from places you've lived in the past? If so, who are you closest with? I am in regular contact with many of my friends from Norway, Versailles, Paris, Munich and Singapore. My friends from New York, Hong Kong and Vienna have been harder to maintain a grip on, only because I lived there long before the advent of Facebook, (and even before email! ), and so I've had to do FB searches for them. From Norway, we are still close to the Karlssons, (Christian and Bente, if you remember them from the book), Idar, Turid, many friends from the island where we lived, our children's school teachers, some of my musician friends, and several of Randall's work colleagues. From France, I have a vibrant FB connection with nearly every girlfriend mentioned in the narrative, and since we now live in Switzerland, France is next door, and we return often to maintain our friendships there. We are deeply attached to our school and church communities in Paris. The assistant headmaster of the American School of Paris, Aaron Hubbard, became like a brother to us, and the simple sight of certain ASP faculty and students is potent for me. Those ties are life-sustaining. Our Munich and Singapore friends we see almost as regularly, odd as that seems, since Germany is close to Switzerland, and our Singapore friends tend to travel to us. Our two youngest, Dalton and Luc, have maintained fierce ties to those Singapore friends, and we have spent vacation time with them whenever possible. Of course, social media has utterly transformed our sense of connectedness, but nothing compares to sitting and talking in the real world. Come to think of it, as I write this I am in NYC for book promotions, but have been in daily FB or texting contact with friends from every place we have lived. Yesterday, one of Dalton's best friends from Singapore, now heading for university in the US, met us on Time Square. And just this morning, some of our dearest friends from Paris, John and Renee (from the book), met us at Lincoln Center. If "Global Mom" were made into a movie, who would you want to play your role? Ah, this is hard. It would have someone who can play a blonde American, who sings professionally, speaks several languages convincingly, can do comedy as well as drama, and can age from her mid-twenties to late-forties. (It helps if she hyperventilates over math.) My idol, as you can guess, is Meryl Streep. But from the looks of her, she went past algebra in high school. Darn. What is the strangest food you've ever eaten in any of the places where you've lived? Monkey brain in China. Bear in Finland. Cheez-Spread in a tube in Pennsylvania. Your "About" page on your blog mentions that you are a singer. What is your favorite song to perform? Another torturous question! There are so many answers - from Sondheim's "Send in the Clowns", Bach's "Erbarme Dich" and "Bist Du Bei Mir", to Grieg's "Solveig's Sang" to "La Valse a Mille Temps", ABBA's "Like An Angel Passing Through The Room", to "Over My Head", a delicate spiritual. But if I have to settle on one, I'd say I enjoy "Summertime" from Gershwin's "Porgy and Bess", because I can sing it very high (as it was written) and as I studied it with Anne Brown (who was the original "Bess", and who happened to live in Norway). Or I can sing it in my lowest jazz register, as I really did in jazz clubs Oslo. "Summertime" has been sung by everyone on the planet, I know that, and yes, I've even heard in turned into generic elevator music. But that solo carries special personal significance for me. You'll understand when you read my book. And when you listen to the audio version I recorded, I actually sing it! Just for fun, who is your favorite celebrity with the first name Melissa? Finally, an easy question. Melissa Amster. Of course! Thanks to Melissa for a wonderful visit and BookSparks PR for sharing her book with our readers. US only. 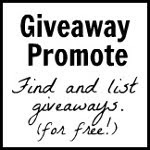 Giveaway ends August 26th at midnight EST. 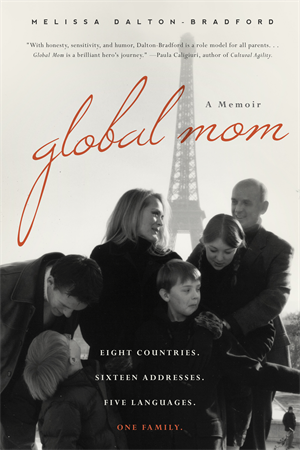 Being a road warrior myself, I can’t tell you how excited I was when I heard that Global Mom was about a family who traveled the world together. The Bradford family did way more than just travel - they had the incredible opportunity to live on three different continents, in six countries and took advantage of these experiences by totally immersing themselves into the culture of each city that they’d call home. However, this book is so much more than an awe-inspiring travelogue, it’s also a compelling memoir of grief. Melissa and her husband Randall moved from New York to Norway, with two children, for a job opportunity. Initially, life in Norway was very tough, fraught with loneliness and depression. It was there that they came up with a blueprint to help the family acclimate themselves into their new home by learning the language (eventually becoming fluent in five languages), befriending the people and becoming countrymen. It’s a blueprint that they’d use again and again. After the birth of their third child, they got the call to move to Versailles. The curse of the Expatriate - once you’re happy and settled, it’s often time to move again. Vive la France was my favorite part of the book, for many reasons. It’s also where baby number four came into the world. Versailles was followed by New Jersey, Paris, Munich, Singapore and Geneva. As a travel memoir, the book reads like a Social Studies text, so vivid and detailed are the descriptions. I learned about the people, cultures, language, food, history and customs of each place. The author is adept at dropping in personal anecdotes about the difficulties she encountered with communication and adapting to foreign practices. Sometimes however, I’d find myself drifting, because nothing seemed to really happen. The Bradfords were just like any other family who happens to move a lot. Inconvenient at times, yes, but they always had each other and it reads like the perfect life. Then the book takes a painfully tragic turn. I didn’t see it coming. It’s awful. Heartbreaking. Breathtaking. Gut-wrenching. The oldest Bradford child died at eighteen, in a brutally unfair accident. Melissa’s description of her family’s grief is difficult to read, but you must. It is the most powerful part of the story and it makes a good book extraordinary. Melissa resonated with me so personally that I was reading passages over and over again, committing some of them to memory. I recently lost someone very close to me, so her grief radiated from the pages of this book and pierced my heart. The book takes on a different tone after the accident. The family is radically different, yet still the same. I can’t explain it. Although tragically altered, the Bradfords can never be broken. The family soldiers on with faith, love, a call to service and a fondness for global adventures. Not immediately, but gradually. I found it inspiring. Hopeful. Sadly, I feel that I only really got to know Melissa after the loss of her child. In her words, “Of all the borders I’ve crossed, of all the addresses I’ve inhabited and of all the lands I’ve been privileged to call my home, there’s but one terrain that’s defined me more than any other: that is the land of loss.” It’s then that she cuts herself open for the reader with a raw honestly that will fill you with compassion. This isn’t a beach read, but it is a must read. This powerful story should be shared with anyone who’s experienced and survived grief. Thanks to BookSparks PR for the book in exchange for an honest review. They're giving away a copy along with Melissa Dalton-Bradford's interview. 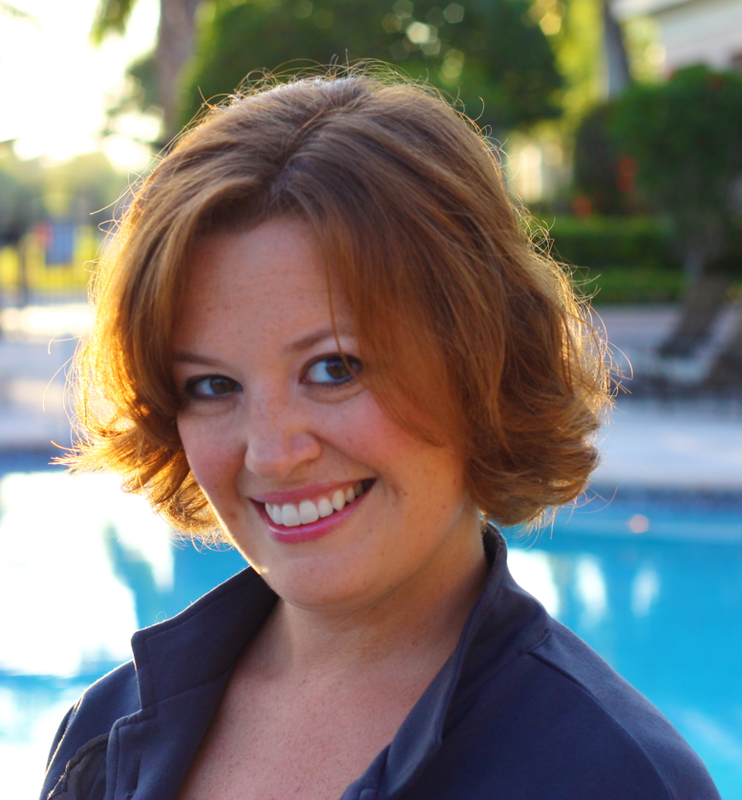 Allie Smith, a former CPA who five years into her career decided that she hated working with numbers and willingly gave it all up to be a stay-at-home mom, lives in suburban Atlanta with her husband and four children. In between carpool, play dates and refereeing the kids, she loves to read and write. The mother of a child with autism, she is currently working on a memoir of their journey. She can be found at her blog.